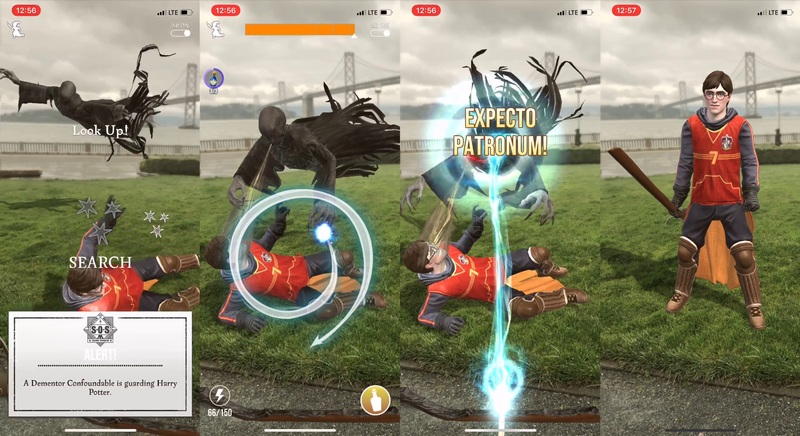 Niantic’s follow-up to the absurdly popular Pokémon GO, the long-awaited Harry Potter: Wizards Unite, has one major drawback: unlike its predecessor, you can’t explain it in a single sentence. There’s so much to do in this game that it may repel some casual players — but while its depths of systems and collectibles may be nigh endless, don’t worry: you still basically just walk around doing wizard and witch stuff. We first reported the news that this was coming back in 2017. 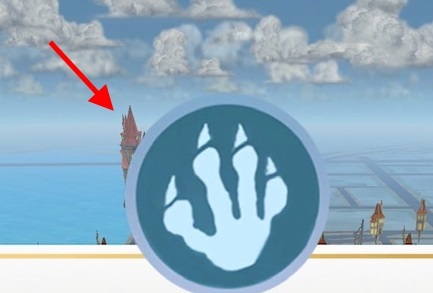 Last week I got to spend a short time playing the game at Niantic’s office in San Francisco, and while they didn’t reveal all their secrets, I saw enough to convince me that HP:WU (I await a catchier nickname, like PoGO) will be a huge time sink for any Harry Potter fan and will probably convert or cannibalize many players from GO. If you were worried this would be a slapdash cash-in effort like some of the HP tie-ins we’ve seen… don’t be. This is legit. Rowling isn’t involved, and the voice actors are sound-alikes, but still legit. And just to get some of the major facts out of the way before we move on: it’s coming out sometime in 2019 (I’d guess before Summer but they wouldn’t say), in 17 languages (listed at bottom; actual countries where it’ll be offered unknown), there’s no wand accessory yet (I asked and they all looked nervous), minimum specs are reasonable and AR is optional, and it’s free but there are in-app purchases. So let’s take that piece by piece. Yes, this was the only image of the map we got. The plot that enables all this is that, in a post-Deathly Hallows HP world, a macguffin event has caused magical items and creatures to appear all over the muggle world, threatening to expose the existence of magic; Witches and wizards are being recruited to track these things down and deal with them. Conveniently, the event snatched these things and people from all throughout history and the world, laying them down willy-nilly — so you’re just as likely to find Fleur Delacoeur as Hermione Granger, or a young Dumbledore as an old one. As a member of the SOS squad (enforcing the “Statute Of Secrecy” mandating separation between the magic and muggle worlds, you know), you’re tasked with tracking down these various things wherever they appear and reporting back to the ministry. The map is, like in Pokémon GO, where you’ll be spending most of your time. The equivalent to lures are “dark detectors,” which will cause encounters to pop up with more frequency around the location you attach it to — and you can stack them! These will no doubt be a popular purchase. One nice touch: when you move quickly, your character flies on a broom. No more “running” along the highway. That always did bug me. Of course you’ll also be able to customize your appearance, and you even get to make a (non-public) “wizarding passport” complete with a moving photo you can outfit with various AR props. Your Hogwarts house is just something you select and which has no gameplay effect — for now. When you tap an encounter, you enter an AR minigame where you may, for instance, have to cast a spell to free Buckbeak the gryphon from a magical ball and chain, or defeat a monster threatening a character from the books. You do this generally by tracing a shape with your finger on the screen to cast a spell. You don’t get to choose the spell, unfortunately, it’s built into the encounter. The more accurate and quick your trace is, the better the power of the spell — a bit like throw quality in Pokémon. It’s similar in combat except you’ll also have to quickly cast protego when the enemy attacks you. That’s right, there are hostiles in this game! And although you can’t “die,” running out of stamina will fail the encounter or mission. More combat options open up later, though, as you’ll see. Encounters also vary in difficulty, which can be determined from the map or within the encounter — you may find some foes or rescues are beyond your power until you pump up a bit (or quaff a potion). There are other little twists on the formula, though — the team said they have over 100 unique encounters, all fully realized in AR. And although you can only interact with them from a sweet spot that appears on the ground in AR, you can take your time to walk around or closely inspect the scene. There are a ton of these little pages. Everything you’ll encounter is a foundable, and falls under one of numerous categories: magic zoology, dark arts, oddities, magical games and sports, Hogwarts, and so on. And every foundable is listed in a sort of sticker book you’ll fill in bit by bit as you encounter them. Free Buckbeak however many times and it’ll be fully filled in, giving you various bonuses and, perhaps more importantly, the ability to take AR photos with the creature or character in question. The creatures and characters range from common to very rare, of course, and you’ll need to get dozens of the former to fill in the book, but only one or a handful for certain plot-related items. They only shared the bare bones of the story, which will be revealed through in-game text and events, but a “deep, multi-year narrative arc” is promised. You can probably expect new foundables and ingredients and such to be added regularly. One detail I found highly compelling was that weather, time of day, and even astral phenomena like moon phase will affect what you encounter. So for instance, werewolves may only come out on the full moon, while certain potion ingredients only appear (or appear more) when it’s raining, or in the evening. This kind of real-world involvement is something I’ve always appreciated and one that Niantic’s games are uniquely suited to take advantage of. Potions will be necessary for healing and buffing yourself and others, so you’ll want to collect ingredients all the time; you mix them in a sub-screen, and can follow recipes or try your luck making something new. One very cool thing they showed off that doesn’t really show well in images is a Portkey — you know, the objects in HP that transport you from here to there. It’s not exactly a canon treatment in the game, as they create portals instead, but it makes for a great AR experience. You put the portal down and literally step through it, then look around at a new scene (for instance, Ollivander’s shop or Dumbledore’s office) in which you can find items or presumably encounter monsters and other stuff. Portkey “Portmanteaus” are a bit like egg incubators in that you charge them up by walking, and can find or buy more powerful ones. What perhaps surprised me most in the team’s presentation of the various systems of the game was the extent of the stats and professions. There are three “professions,” they explained: auror, magical zoologist, and professor (“if you’re a bit of a goody-goody” — I resent that). I figured these would be a bit like a play style bonus — one gives you more combat prowess, another is better for taming creatures, and so on. Boy, is there a lot more to it than that! First of all, you should know that you have stats in this game. And not weird hidden ones or a relatively meaningless one like your trainer level in Pokémon GO. No, you have a straight-up stat screen filled with all kinds of stuff. And your profession isn’t just a bonus or special ability — it’s a whole skill tree, and one to rival those of many a “serious” RPG. As in many other games, some nodes are simple things like an increase in stamina or spell power — some you can even upgrade several times to increase the effect. But others are entirely new abilities you’ll be able to use in various circumstances. I probed through a bunch in my limited time and found things that, for instance, healed allies, debuffed enemies, improved potion effectiveness, etc. These are definitely going to have a significant effect on gameplay. You can advance in any of the professions you want, however you want, though of course the further you progress down a tree, the more powerful abilities you unlock. You do this with tokens you earn from encounters, leveling, and challenges, so you get a steady trickle. It should take a good while to fill these out, though no doubt we’ll have some real tiresome types who’ll do it in a week. The last major aspect of the game is Fortresses. These are a bit like Gyms from Pokémon GO, in that they are multiplayer focused, but for now they’re strictly player vs enemy. This is where the combat complexity comes in, because all the enemies are presented to all the players at once, and you can take on whichever you choose. Have you leveled your magical creature taming? You better take on that hippogriff. Do extra damage against human foes? You’re on Death Eater duty. Stocked up on spells that hinder opponents or heal allies? You can use them from the select screen in real time, for instance if your friend is about to be knocked flat by a high-level Dementor and needs a hand. I only got to test a small amount of this, but the possibilities for actual strategy and team synergy were very exciting, especially compared to the extended slugfests of Pokémon GO raids. That’s how the team described Wizards Unite, and although a small-screen experience will never equal the immersion or magic (so to speak) of the cinema or the richness of the books, this does look like a dandy game and it will certainly be a heck of a time sink for countless players worldwide. I only got to see a few minutes of the game in person, so there are parts I missed and parts that weren’t being shown; for instance, your Hogwarts house will likely figure later in multiplayer games, and more abilities are on the way. I worry a bit that the simplicity and casual serendipity that defined Pokémon GO have been abandoned for a level of complexity that may be daunting for some. Yet at the same time I worry that the grind of collecting however many Buckbeaks you need to complete a page of the registry isn’t as satisfying as catching (and grinding up) a dozen Charmanders to power up your favorite ‘mon. And the AR experiences so far exhibit much visual variety but (that I saw) didn’t differ much from one another except in the trace you had to draw. But there’s a great deal here and a great deal to like. It’s new, it’s fun, and it’s HP. I know I’m going to be playing. The Los Angeles game development studio Jam City is setting up a shop in Toronto with the acquisition of Bingo Pop from Uken Games. The deal is part of a broader effort to expand the Jam City portfolio of games and geographic footprint. In recent months the company has inked agreements with Disney — taking over development duties on some of the company’s games like Disney Emoji Blitz and signing on to develop new ones — and launching new games in conjunction with other famous franchises like Harry Potter. The Bingo Pop acquisition will bring a gambling game into the casual game developer’s stable of titles that pulled in roughly $700,000 in revenue through October, according to data from SensorTower. Founded in Los Angeles in 2009 by DeWolfe, who previously helped create and launch Myspace, and 20th Century Fox exec Josh Yguado, Jam City rose to prominence on the back of its Cookie Jam and Panda Pop games. Now, the company has expanded through licensing deals with Harry Potter, Family Guy, Marvel and now Disney. Jam City has offices in Los Angeles, San Francisco, San Diego, Bogota and Buenos Aires. The good news: Niantic/WB Games/Portkey has released a trailer for “Wizards Unite,” the Harry Potter game built in the same spirit as Pokémon GO. The bad news: It… doesn’t show much. If you were hoping for gameplay footage or really anything detailing how the game will work, you’re out of luck. Alas! It’s just a teaser trailer, and tease it does. The one big new detail? The game’s launch timing. While Niantic was reportedly aiming for the end of 2018, this trailer puts it in no uncertain terms: it’ll land in 2019. In the first step of what could be an endless exploration of the wizarding world of Harry Potter, the Los Angeles mobile games studio Jam City is releasing its Harry Potter: Hogwarts Mystery game on the App Store and Google Play. Developed in partnership with Warner Bros., the game will launch under Warner Bros. Interactive Entertainment’s Portkey Games — a label dedicated to creating first-person gaming experiences for mobile devices and consoles based on J.K. Rowling’s Harry Potter series. No one could accuse me of being a gamer, but as a fan of both the books and the movies, I was intrigued by the prospect that the Hogwarts Mystery game presents. The animation (from the demo I’d seen) is well done and the plot was compelling. Set in the 1980s, the game follows the player as they develop a character, enroll in Hogwarts, select one of the school’s four houses and begin to navigate the world of Hogwarts. Players can create personalized characters and customize their avatars by learning magical skills and developing relationships with other students. Certain choices in the game will change the trajectory of the story, and, over time, the game developers envision expanding the world well-beyond Hogwarts to track characters as they navigate life in the Harry Potter universe. But it all starts with Hogwarts School of Witchcraft and Wizardry and the mystery at the heart of game’s plot. The player’s avatar had an older sibling who attended Hogwarts but vanished mysteriously. Part of the narrative that propels the game will be investigating what happened, and why. Within the game, players can expect to see some familiar faces (and hear some familiar voices). Dame Maggie Smith is reprising her role as Professor McGonagall and Michael Gambon is back voicing Professor Dumbledore. Other actors from the movies include Warwick Davis as Professor Flitwick, Gemma Jones as Madam Pomrey and Zoe Wanamaker as Madam Hooch. 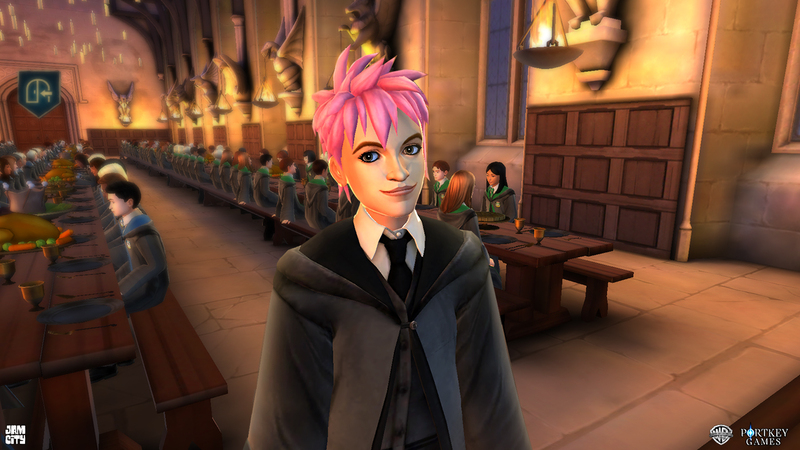 Players will also meet original game characters like Penny, a popular Hufflepuff potions expert; Tulip, a rebellious Ravenclaw prankster; and Merula, a Slytherin with a dark past. As for the gameplay itself, users can duel with characters, learn spells and interact with students to gain different points that correspond to certain skills and attributes. Mechanisms for interaction are similar to those developers have been using since Kim Kardashian: Hollywood, and some reviewers have wondered (rightly) whether the dream of a wizarding world that’s mostly open for exploration will be perverted by a cash grab. The developers of the game seem to be just as excited as the players they want to attract, and will ideally acknowledge the not-so-fine line between commercial viability and opportunistically extortionate in-game economics.